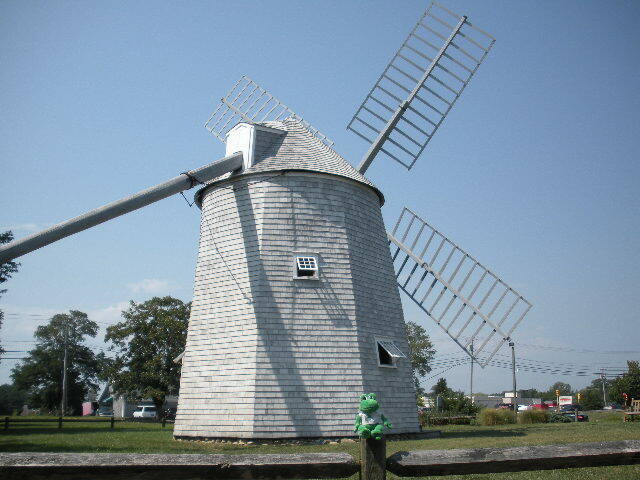 Listed in the National Register of Historic Places, the Eastham Windmill was built in Plymouth, Massachusetts around the year 1680. It was moved several times over the years and was finally brought to its present location in 1808. It has been restored and is the oldest and last working gristmill on Cape Cod. The Eastham Windmill sits along the shore of the beautiful Town Cove in Eastham, Masachusetts. The site is lovely, not only for the view, but also for the opportunity to see a piece of history. The mill was open the day that we visited and we were able to go inside and talk to one of the volunteers. Unfortunately I didn’t catch his name, but he did a great job telling us many interesting tidbits about when the windmill was moved, how it worked, and some restoration facts. What is a gristmill? A gristmill is a building or mechanism in which grain is ground into flour, and at the Eastham Windmill the power to do this was provided by the wind! 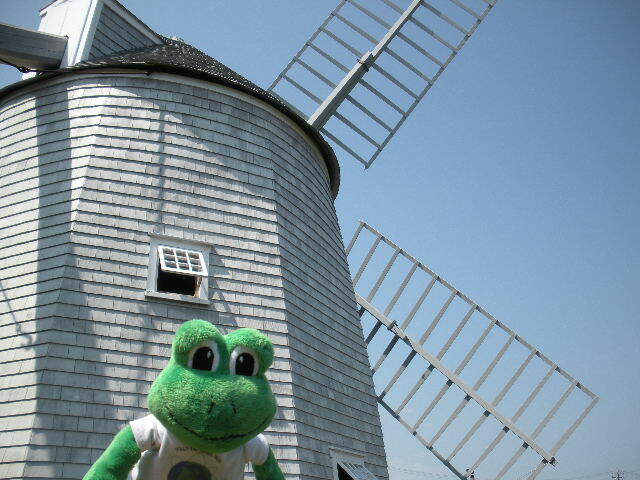 This windmill is approximately 330 years old! Wow, that's old! I love the top picture…Polly and the blue, blue sky! How tall is that? That’s cool! This means that I thought it was cool. 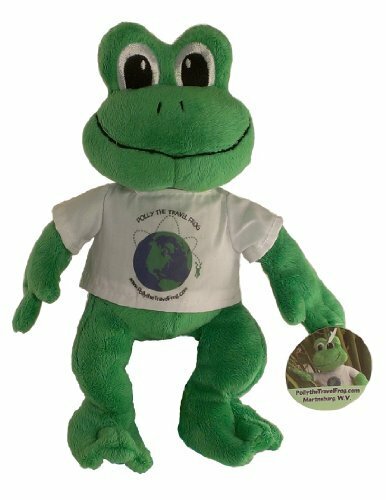 Hi Madison….I think it’s cool that you checked out my site! Thank you! 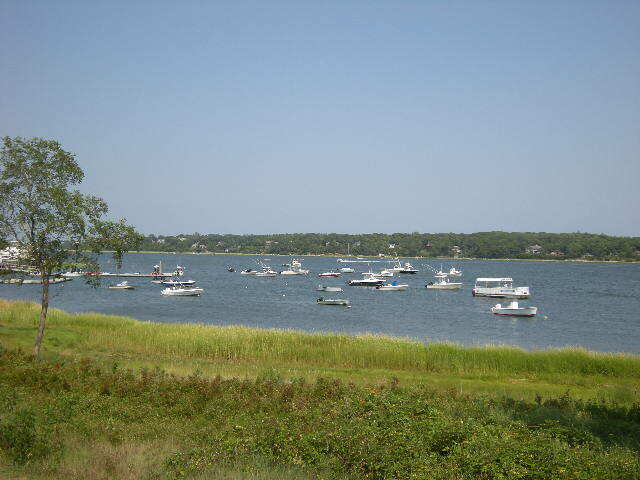 I don’t know how tall it is,but Mrs. Schneider’s parents live on the other side of the cove fand when they stand on their dock, they can see the windmill on the other side. So, it’s big enough to see from across the cove!